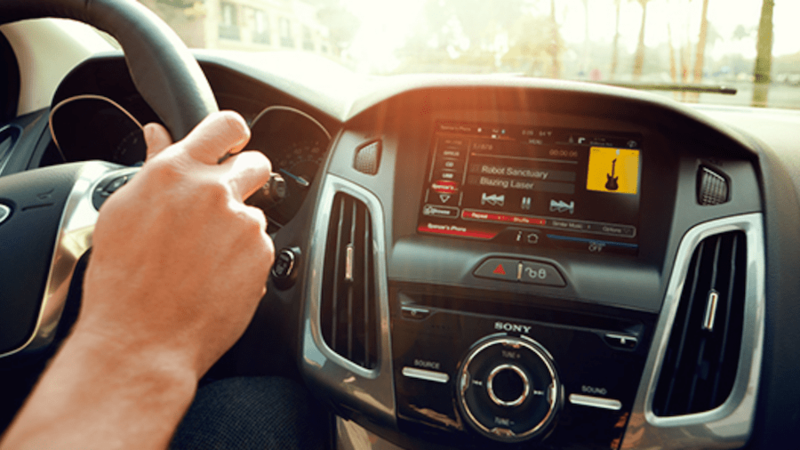 SAN FRANCISCO (CN) – To avoid a potential $300 million in civil penalties, Ford has agreed to settle a class action claiming it knowingly sold vehicles with defective and unsafe touch screen systems. Under terms of a proposed deal filed in court Friday night, Ford will pay a minimum $35 to consumers who had problems with faulty touch screen systems and offer up to $500 payouts and $2,000 discounts to those who paid for multiple software fixes. The deal applies to consumers in seven states – California, Massachusetts, New Jersey, North Carolina, Ohio, Virginia, and Washington state – who bought vehicles with My Ford Touch or My Lincoln Touch systems before Aug. 9, 2013. Filed in July 2013, the lawsuit claimed touch-screen software designed by Microsoft for Ford and Lincoln vehicles between 2010 and 2013 often freezes, leaving drivers unable to defrost windows, operate rearview cameras, or dial 911. A jury trial had been set to start in May this year after U.S. District Judge Edward Chen rejected the bulk of Ford’s motion for summary judgment in February. The parties reached a deal at the end of March. As part of the proposed settlement, Ford will offer free software upgrades for six months and free service at Ford dealerships to fix any additional software problems for one year. Consumers who paid for at least one software fix in the past will receive $100 cash payments or $200 discounts on the purchase of new vehicles. Those who paid for two software fixes will get $300 payouts and $600 discounts, and those who paid for three or more software fixes will receive $500 payouts or $1,000 discounts on new vehicles. Each class member who bought a Ford or Lincoln with a faulty touch screen system prior to Aug. 9, 2013, will receive at least $35 under the terms of the deal. Class attorneys will request an additional $22 million in attorneys’ fees, according to the motion for preliminary settlement approval. Lawyers for Ford and the plaintiff class did not immediately return phone calls seeking comment Monday afternoon. The class is represented by Adam Levitt of DiCello Levitt & Casey in Chicago; Craig Spiegel of Hagens Berman Sobol Shapiro in Seattle; and Cynthia Chapman, Michael Caddell, and Corey Fein in Houston, Texas. Ford is represented by Randall Edwards of O’Melveny & Myers in San Francisco. A hearing on preliminary approval of the settlement is scheduled for June 28 in San Francisco.